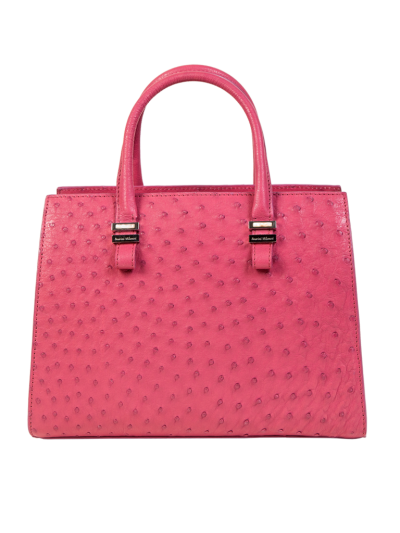 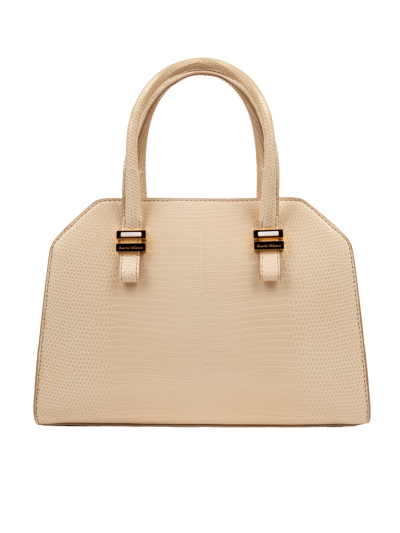 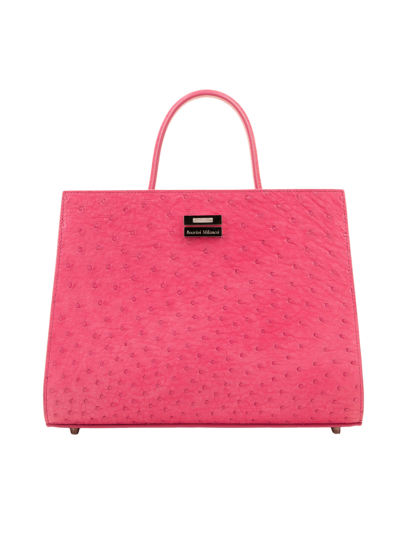 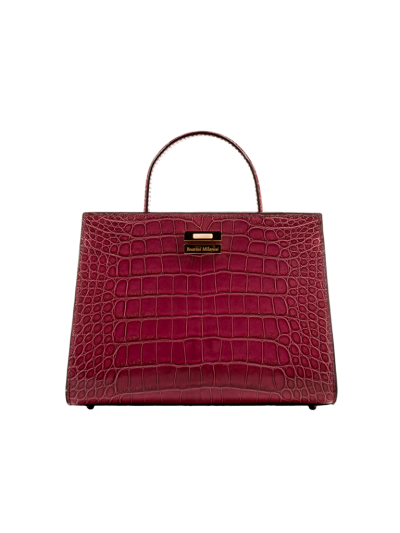 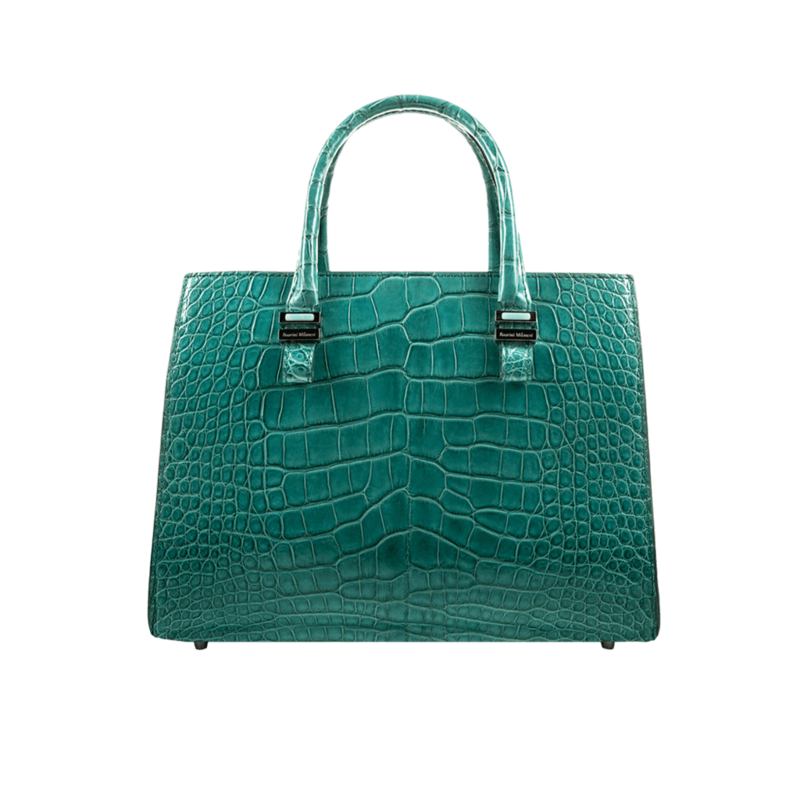 Handbag in precious Mississipiensis alligator leather. 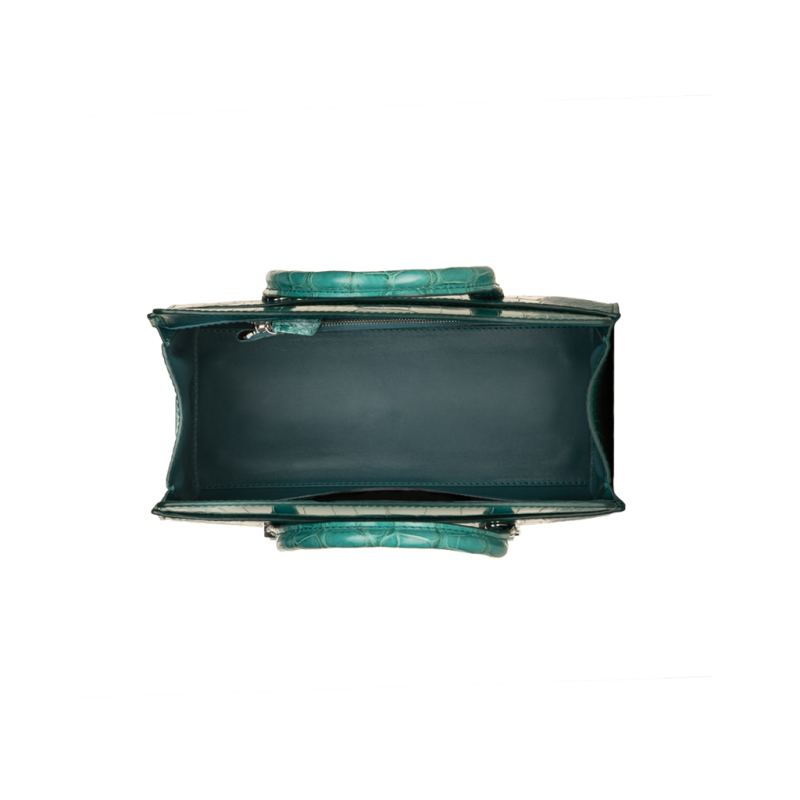 Palladium plated hardware with Amazonite. 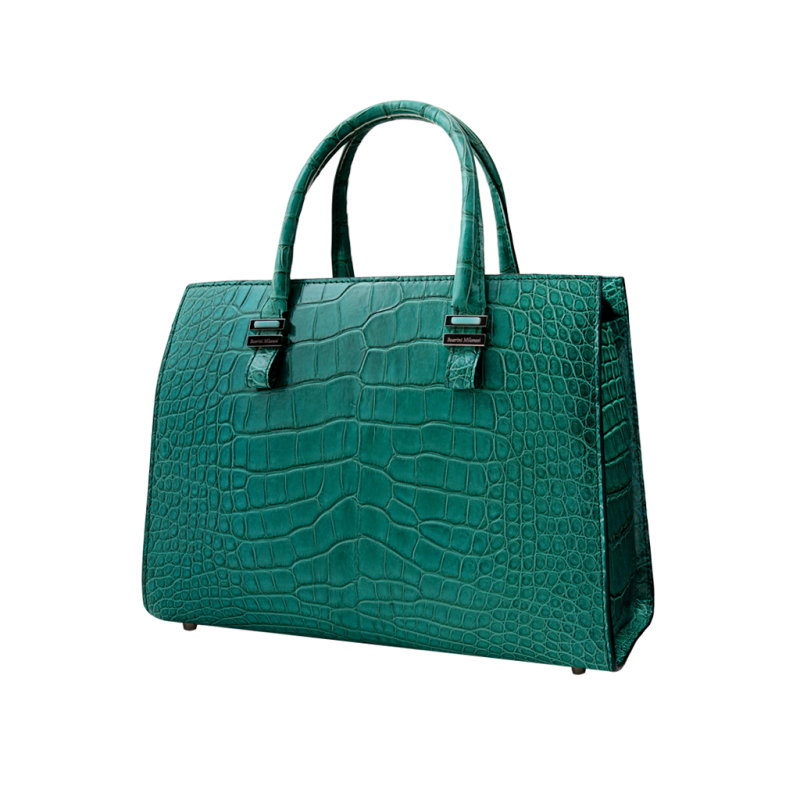 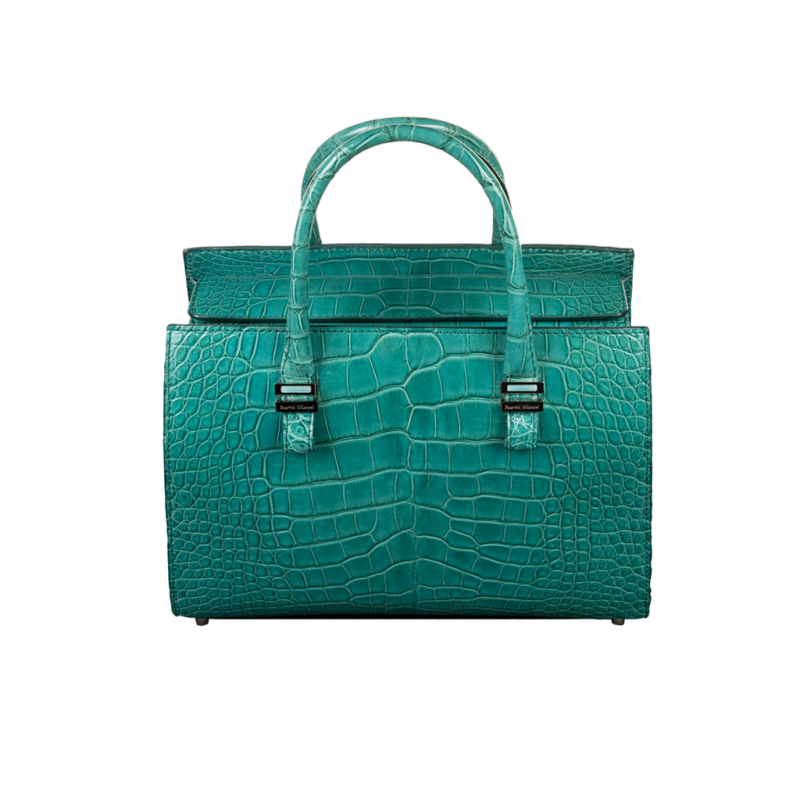 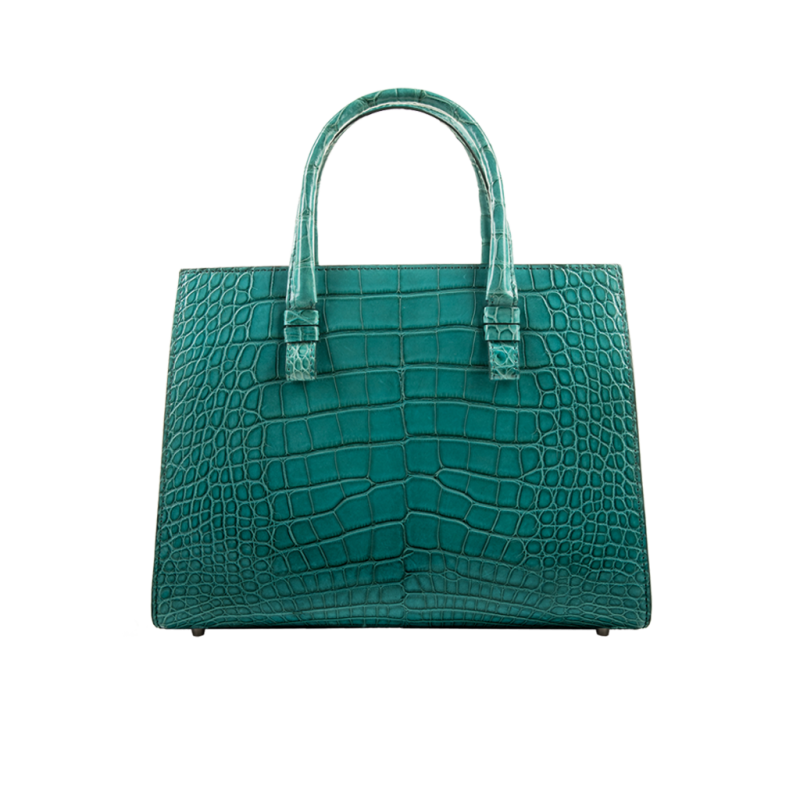 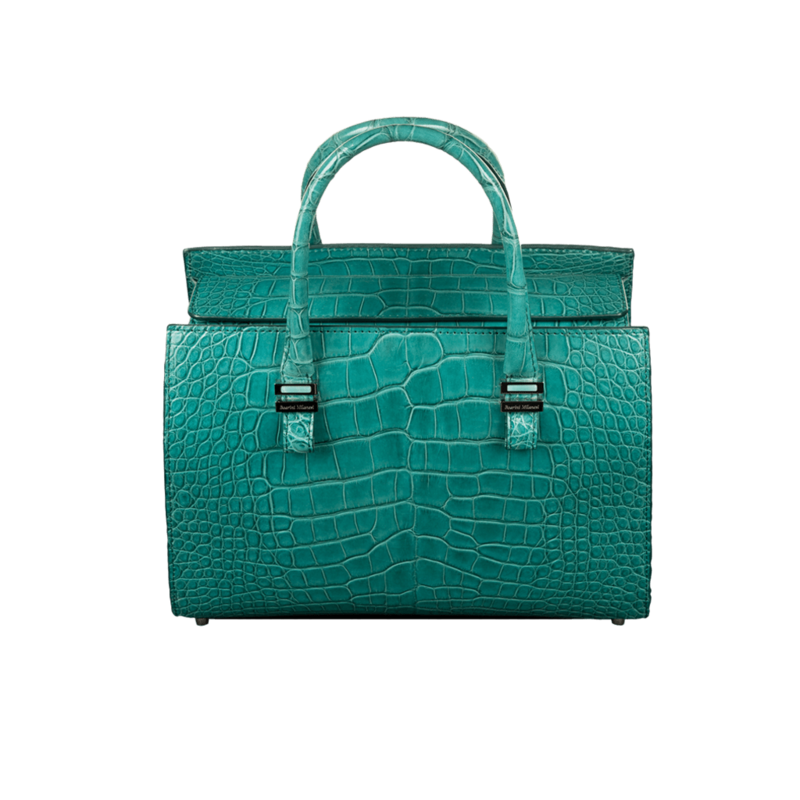 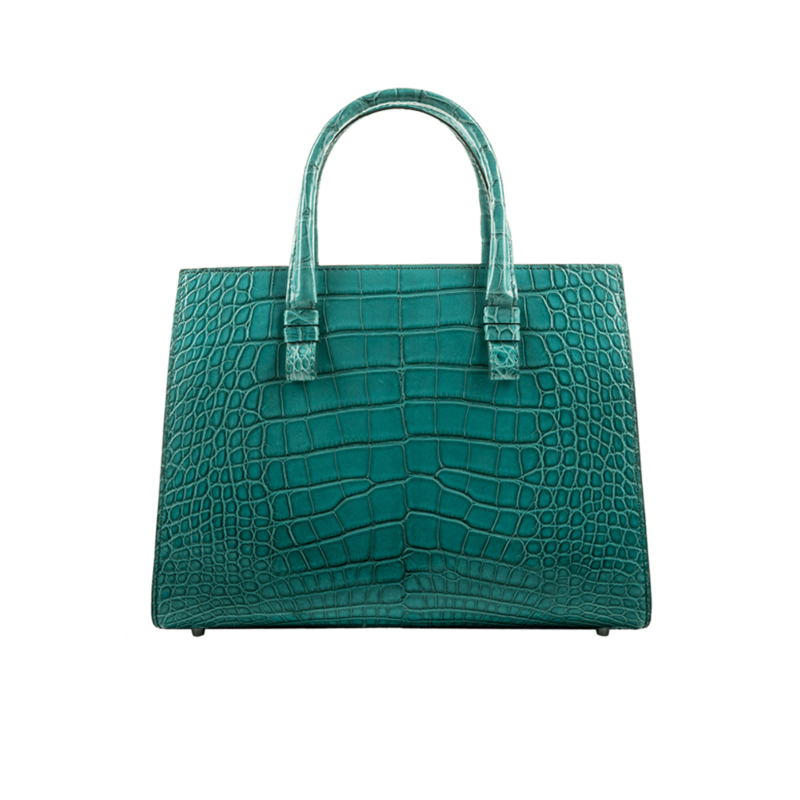 Handbag in precious Missisipiensis alligator leather in Veronese Green. Soft interior in dark green nappa leather with pockets and invisible magnetic snap. Palladium plated hardware with detail in Amazonite.